Attention all Claire Goldsmith fans!! We love Claire as much as all of you, so we’re sad to say we’ve sold the very last CG frame in the store. 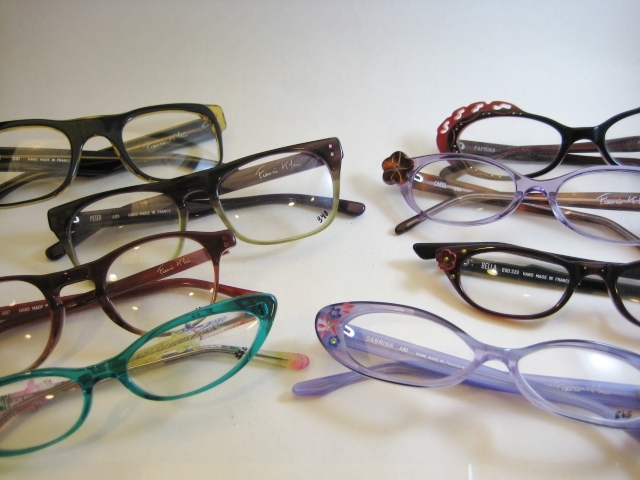 And since we’re always on the hunt for funky new frames, we’ve decided to say goodbye to one line and HELLO to a new one. We’ll be introducing a RES/REI, a totally awesome, sleek, new line from Italy within the next few days. 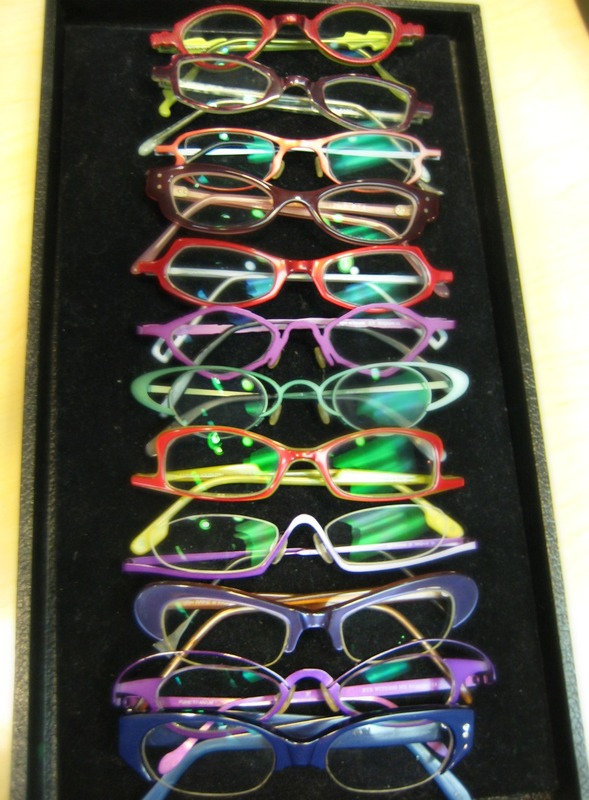 …Claire Goldsmith frames will still be available via special order. So if you just HAVE to own one of her gorgeous frames, and you just happen to stumble upon one that you love, we’re more than happy to place an order for you! 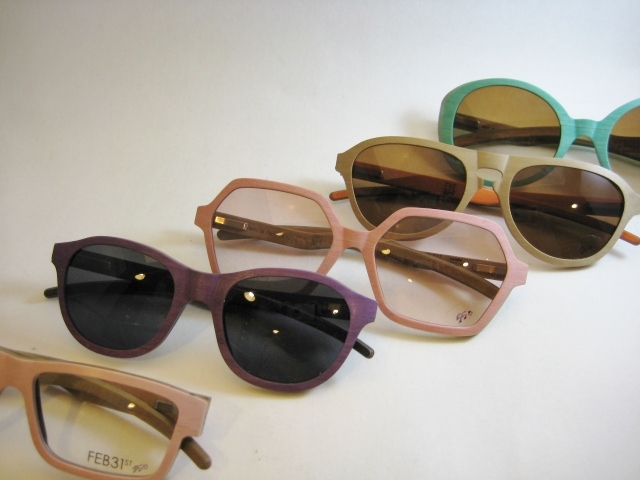 In addition to that, our Oliver Goldsmith sunglass line (part of the CG line) is still available in store as well. Also, Saturday, May 11th is our Oliver Goldsmith and Caroline Abram Trunk Show, so we’ll have plenty of new sunglasses and frames to check out!! See you soon! 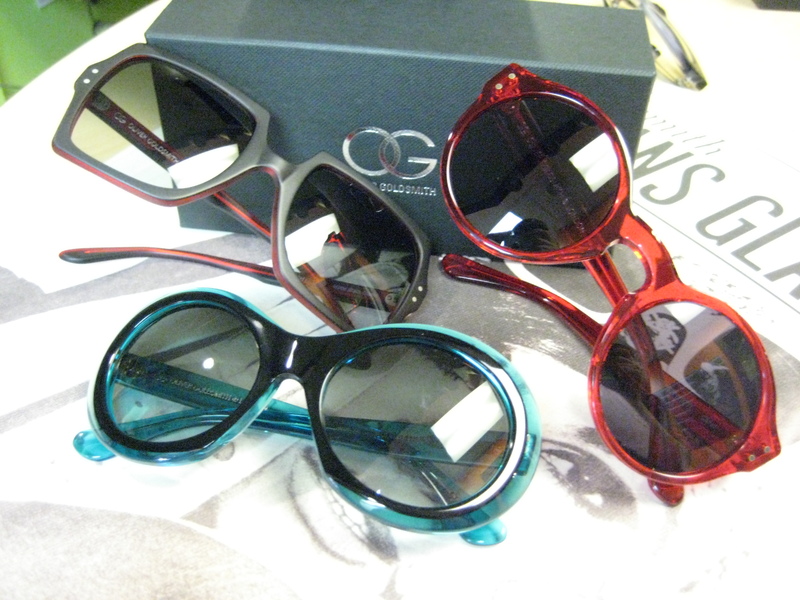 We received these awesome sunglasses, just in time for our Claire and Oliver Goldsmith Trunk Show!!! It might be dreary outside, but it’s the perfect weather for getting massages, having a cocktail, and checking out some sweet frames. Join us today from 11-5pm…and we’ll even help you find that special something for mom for Mother’s Day! Following the successful re-launch of the iconic Oliver Goldsmith brand in 2005, Claire Goldsmith, the great-granddaughter of Oliver Goldsmith, has debuted her own eyewear line. Named Legacy, the collection heralds a new direction for the Goldsmith name. 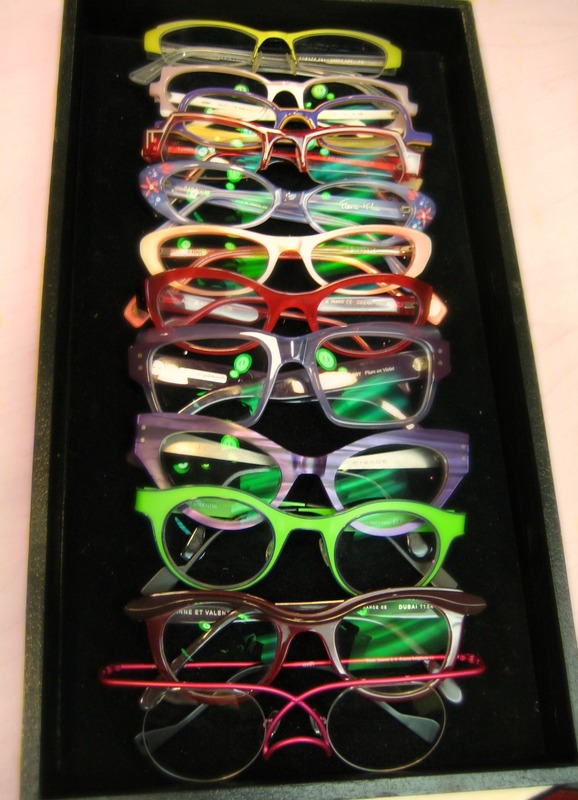 We love the fun colors, contoured temples and defined lines! Celebrate Mother’s Day with us on May 12th from 11-5pm. We are having a Claire and Oliver Goldsmith trunk show, massages, munchies and mamosas. Talk about relaxing! p.s. the queen of specs will be ordering these Oliver Goldsmith beauties in red and white stripes…drool!!! We couldn’t wait to share our excitement for the Claire & Oliver Goldsmith trunk show we will be having in May! In 1926, Philip Oliver Goldsmith revolutionized how sunglasses were being made. 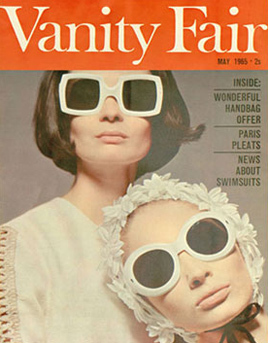 At a time when cumbersome frames were being made from expensive metals and tortoiseshell, he started fashioning frames from brightly coloured acetates. 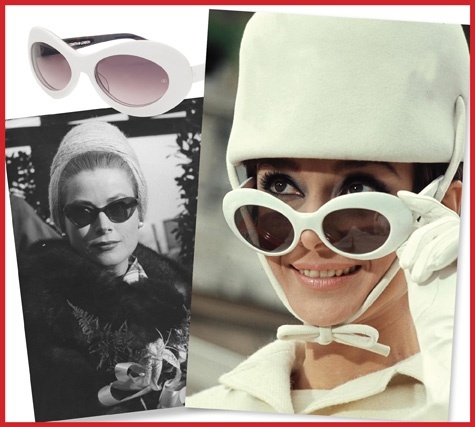 Sunglasses became not only a way to protect your eyes from the sun, but thanks to Goldsmith…they also became a fashion statement! Icons such as Audrey Hepburn, Grace Kelly, and Michael Cain adored them and the name Goldsmith became synonymous with stars and style. I’ll give you the lowdown on Claire Goldsmith next week, you can drool over these iconic photographs in the meantime, ha! Mom’s the Word On Saturday, May 12th! Celebrate Mom’s Day with us on Saturday from 11 AM-5 PM! 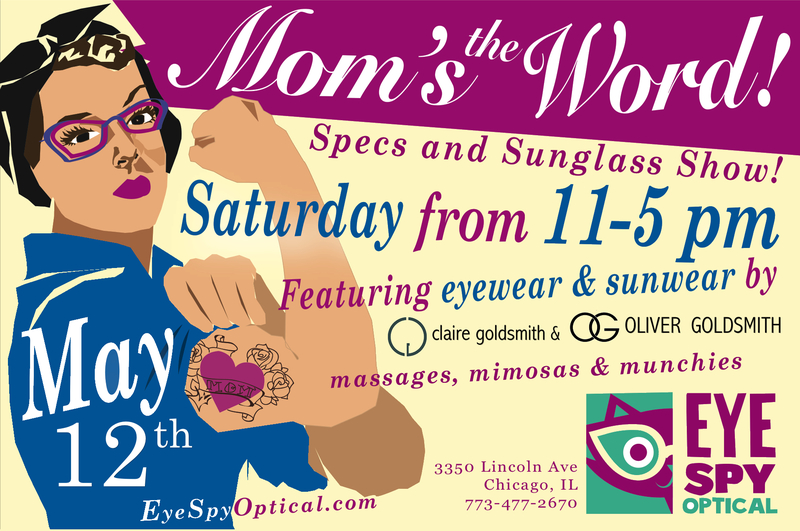 We will be having an Oliver and Claire Goldsmith Trunk Show…as well as massages, mimosas and munchies, just for mom! Do you need to get a present for mom, but can’t figure out what to get her? Or maybe she wants to get you a present! Lucky duck! 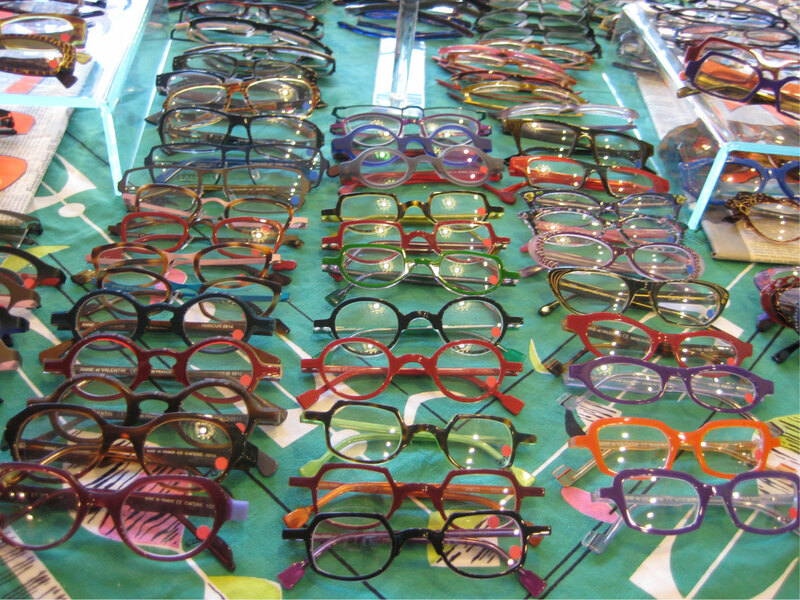 Our rep from two of our vintage-inspiried collections, Claire Goldsmith and Oliver Goldsmith, will be on-hand. In her trunks, she will have of glasses upon glasses in every shape in color…and sunglasses that will make anyone look like a movie star! On Saturday only from 11-5 PM. Claire Goldsmith is the debut collection of vintage-inspired frames from the great-granddaughter of the iconic eyewear designer Oliver Goldsmith. For three generations, Oliver Goldsmith combined beautiful materials, acetates and hinges with simple and classic style, to create some of the most iconic eyewear in the world. Claire re-established the company in 2005 after a 20 year hiatus, to continue the legacy of the Goldsmith family. 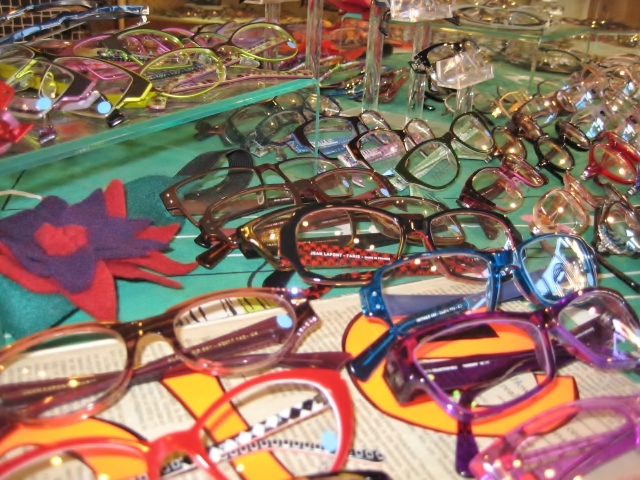 Wow, the Queen of Specs has a vast collection of glasses! 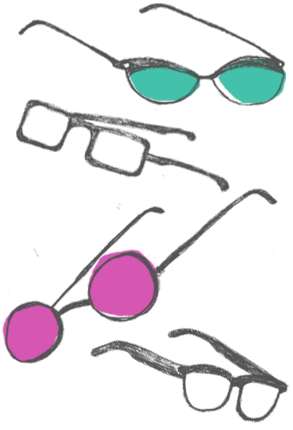 Organized from oldest to newest, its easy to see how the trends in eyewear has changed. We love how much bigger glasses are now…so much more room to see with. Also, the rounder retro shapes that have been coming out are fabulous. That’s not all…there are a ton more frames below. There is a reason she is the Queen of Specs! Filed under: Claire Goldsmith, CUSTOMER OF THE WEEK! Our Customer of the Week is ANNA! Anna is sweet as pie and we adore her new Claire Goldsmith Legacy frames. They are a bold square shape with a beautiful translucent deep sea green hue. As you can see by her big smile, Anna could not wait to flaunt them! With her Legacy line of frames, Claire is focused on adding a modern twist and a touch of refinement to the hugely popular heavy plastic frames made famous by her great grandfather, Oliver Goldsmith. Combining timeless designs with contoured and bold frame shapes, the Legacy collection is made using the high standards of craftsmanship and advanced manufacturing techniques that have become synonymous with the Goldsmith name. Congrats, ANNA, you are our Customer of the Week! This week, our Customer of the Week is Kevin!! Kevin had a tough decision to make. He looked great in both a Theo metal frame and this plastic Claire Goldsmith frame. 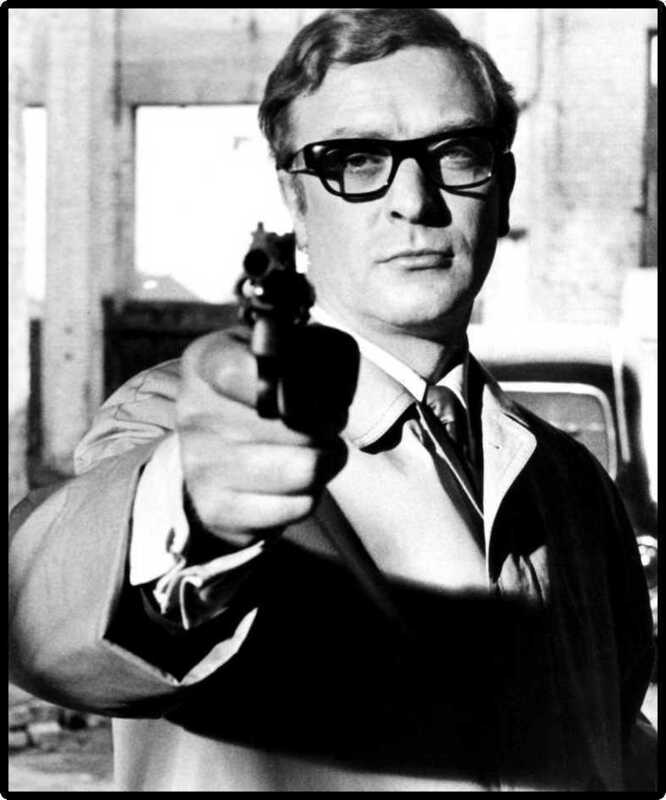 After some deliberation, Kevin, chose the Claire Goldsmith Riley frame and, we have to agree, this was the right choice!! Kevin looks awesome in this new frame and that is why he is our Customer of the Week!